The only known picture of the Kings Arm's (unless you know better?). As far as we are aware this view is of the back of the building. The alleyway on the right still exists. 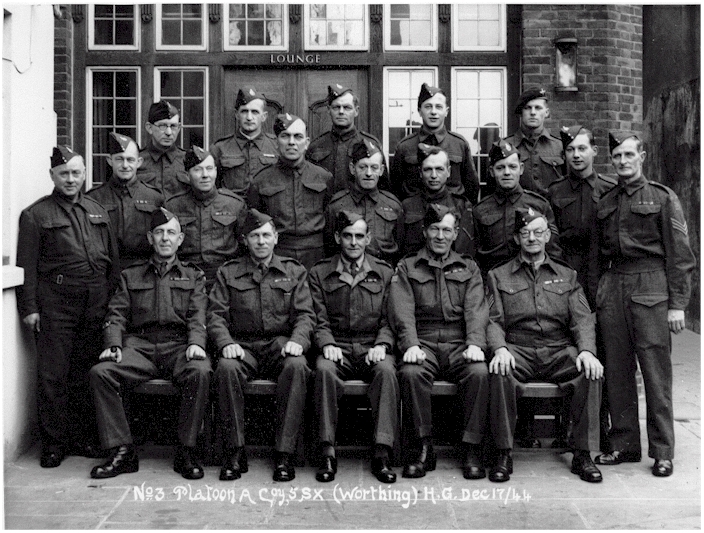 This picture shows the Number 3 Platoon 'A' Company Sussex (Worthing) Home Guard. 17th December 1944. 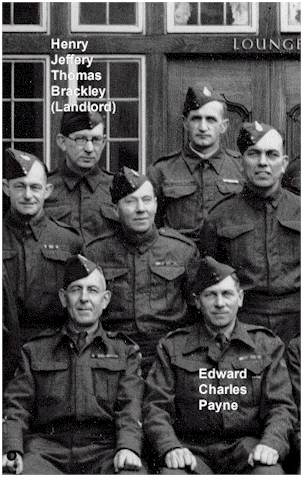 The Landlord, Henry Jeffery Thomas Brackley is on the back row on the extreme left. The picture was kindly donated by Colin Reid from his personal family collection. Henry Brackley, the landlord of the Kings Arm's. Although the Kings Arms is a common name for a pub, there may have been a local connection with Kings Row - a passage way a few doors along to the east which contained about 11 buildings, shown here running south between numbers 93 and 95. 1965 demolished - Now Millets.